Accessories are the key to bringing an outfit to its highest level. We give you the keys to fill your hand of rings as a complete pro. We love the looks in layers, either in our clothes, hair… or our accessories! Sure you have more than one ring that still kept waiting to make his triumphant return, no more! 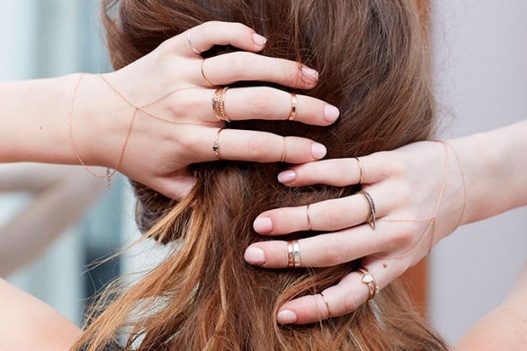 Thanks to stackable rings, you can show off some hands that will give extra touch to your look. Notes some keys to boast multiple rings. Whether you have an engagement ring that you inherited from your mother or one that has a special meaning, give it the place that deserves in your hand. This goes on your ring or middle finger. In addition, so you create the perfect base to play more small and delicate parts. No matter if you are using gold and silver along your hand or a finger, this “balanced disorder” are your choice and give it that personal touch. It is perfect if you want to maintain harmony and follow a single color scheme, as in gold. Just make sure you play with the proportions, the combined thick rings with delicate pieces ensure that your look will not fall into monotony. Delicate and simple rings such as love rings, sunflower rings or secret message rings are pretty cute, but those who play with the shapes are more interesting. 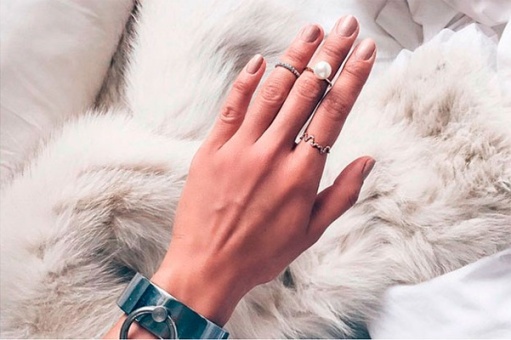 Why not try some midi rings? 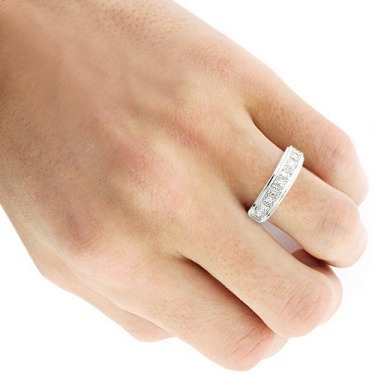 In your index and ring fingers concentrated thicker rings and plays with the slimmest in the little finger and thumb. 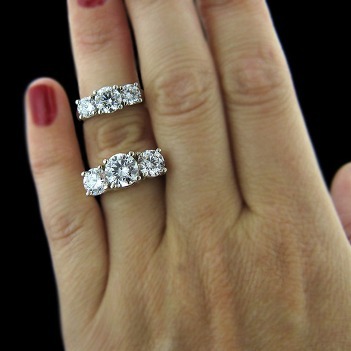 This is the final touch for your combination of rings, because although it is a simple touch, looks great. Contrary to what you might think, it was worth only use clear varnish and leaves your rings to do their own thing. Rings: Is it good to wearing long time in the hands?